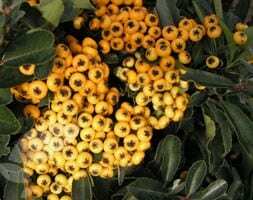 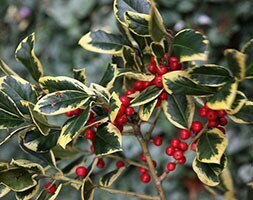 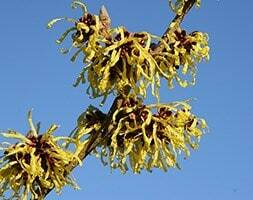 Glossy dark green leaves provide a sumptuous backdrop for the profusion of yellow-eyed, red flowers, when they appear in late autumn and early winter. 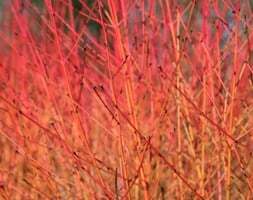 Their colouring is very striking - and is perfect for the build up to the Christmas season, but the dark green foliage offers year-round structure and interest. 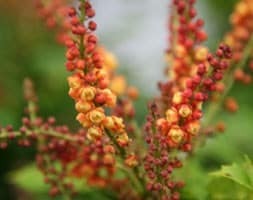 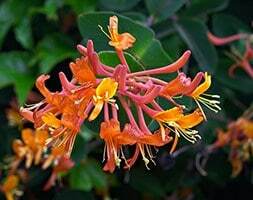 If left to grow naturally, this is a relatively compact shrub with a pyramidal habit, but it can also be trained against a wall, or grown in a large pot if space is at a premium.